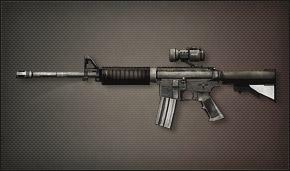 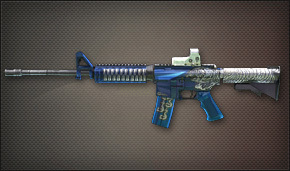 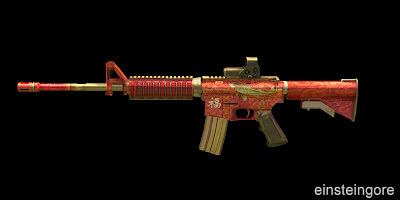 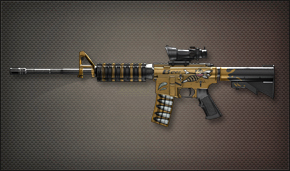 The M4A1 Carpio is a Euro Capsule weapon released in the 6/6 patch update. 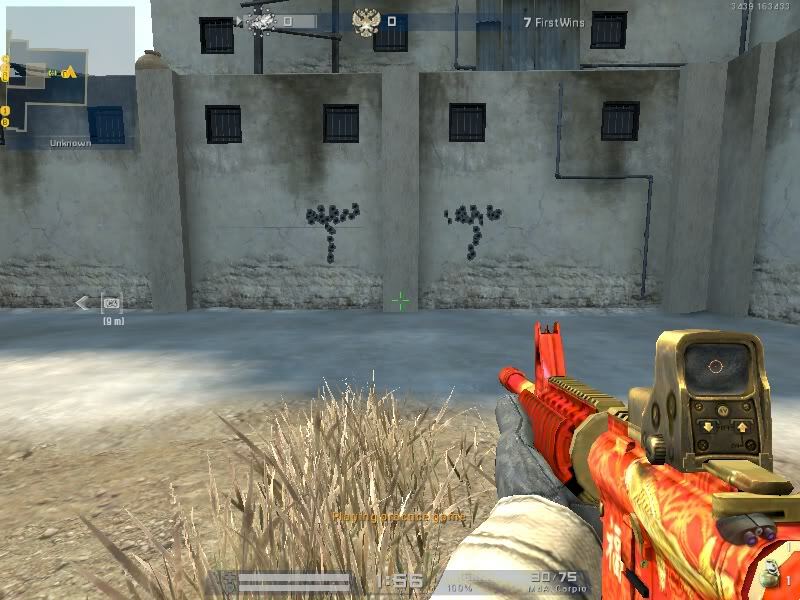 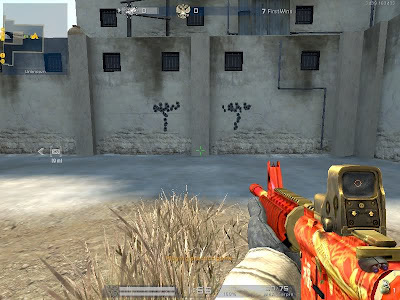 It features a red and gold color scheme, a supressor and a Dot(x2 HS) scope. 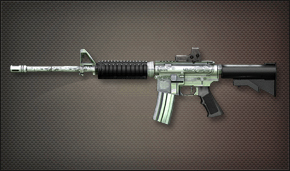 It is the third variant of the M4A1.